Thomas Heiton and Co. Ltd. 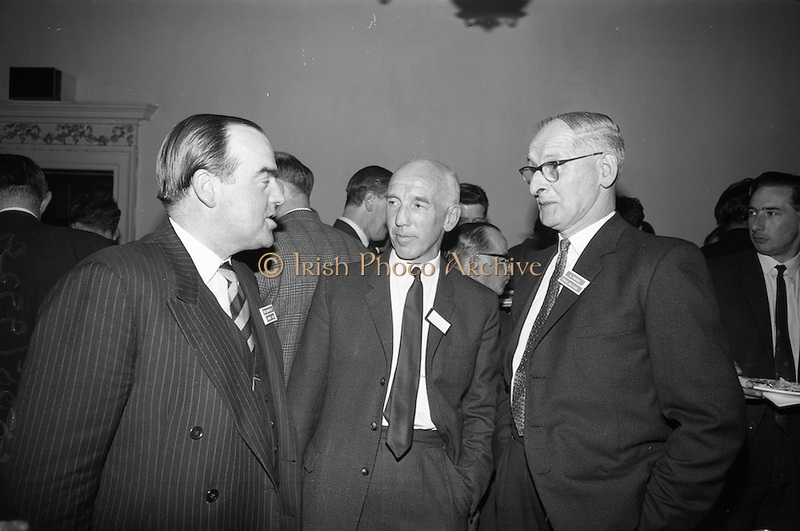 Reception to promote stainless steel in manufacturing at the Shelbourne Hotel, Dublin. Pictured at the reception were (l-r): Mr. N.P. Bromiley, Director and Communication Manager, Samuel Fox Ltd.; Mr J. Hanna, Joint Managing Director and Divisional Manager (iron and steel) Thomas Heiton and Co. and Mr. E.S. Usher, Director and Manager (iron and steel) Thomas Heiton and Co.. Thomas Heiton and Co. were agents for steel produced by Samuel Fox and Co. Ltd., Sheffield, England.